We often place important reminders on our walls or on our refrigerators or in front of our desks. They may be Bible verses or favorite quotations or an important motto. These reminders can tell us much about ourselves. 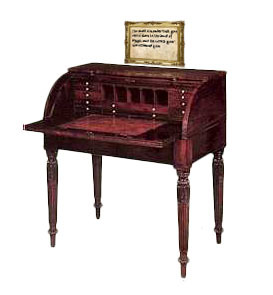 John Newton (1725-1807) had a reminder in front of the desk of his study. It came from Deuteronomy 15:15 and it said, “You shall remember that you were a slave in the land of Egypt, and the LORD your God redeemed you.” This tells us much about John Newton. He was a former slave trader, but God was gracious to him, saving him from his sin. You can read his testomony in the much loved hymn, “Amazing Grace.” John Newton never wanted to forget God’s saving grace in his life. Surely that’s why Newton posted Deuteronomy 15:15 in a place where he would be reminded every day of God’s redeeming work in his life. Parents, you know the motive behind your instruction to your children. You want your children to obey you, because you know that it is ultimately good for them. You tell them to avoid running into the street, because the street is dangerous. You teach them to help with the housework (inside and out), because they need to learn to work. You tell them to do their schoolwork, because their education will help them to provide for their family. Have you ever considered that this is why God has given us instruction? Moses said, “The LORD commanded us to observe all these statutes, to fear the LORD our God for our good always and for our survival” (Deuteronomy 6:24). God instructs us “for our good.” Let’s embrace His words as obedient children.